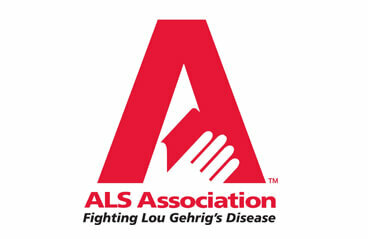 Barstool Comforts is now supporting the ALS Association. We strongly believe in the foundation’s efforts. Deborah’s mother passed away in 2003 with no hope of recovery. Because of that, we chose the ALS in memory of her, and hope to end the suffering of current and future ALS patients. Doris was a beautiful, healthy, and strong woman who, at the age of 70, was diagnosed in November of 2002 with the dreadful disease of ALS. Three months prior to her diagnosis, she had a slurred speech which doctors thought was due to a stroke. After exhaustive testing during these months, doctors could not reach a diagnosis. Then finally, a neurologist gave her the horrible news that she had 1 year to live. Our brave mother took the news in stride as she or anyone else in the family had no idea how horrible this disease was going to be. Doris was a stocky 290 pounds when she was diagnosed. As weeks went by, her throat and arm muscles became increasingly weaker. Her throat muscles became so numb that she was no longer able to swallow solid or liquid foods. Her weight began dropping rapidly because of the inability to swallow and take in any nutrition. Our family became increasingly worried and was told by her neurologist that she had to have a feeding tube placed in her abdomen. She was fed canned liquids 3 times a day for the rest of her life. Thanksgiving came and our brave mother sat among us during our feast without being able to enjoy a meal. “I don’t want my kids to worry about me,” is what she kept telling us. And as brave as we tried to be for her, our tears could not be kept at bay. December of 2003 came and Doris was already down to a weak 104 pounds, but she maintained her smile and tried to enjoy what she had left. Her frail body had to be lifted in and out of her wheelchair when she needed to do simple tasks such as going to the restroom or getting in and out of the car. Communicating was done through note pads as she could no longer speak. December 19th arrived and she developed a bad cold. This weakened her already failing condition and on December 22nd, as she waved good bye to our father as he left for an hour on errands; he returned to find her lifeless body. As he tried to revive her, the paramedics were on their way and our dear mother was gone. Years later, we continue to wonder about the hows and the why’s, and yet no one knows the answer to the frustrating questions.